1. Subtle Touches. This is by far the most popular and effective technique. If he says something funny, lightly tough his arm. Another good one is to compliment him on what he’s wearing while touching said item, like gently stroking his tie and saying you love that color. Just be subtle about it (i.e. don’t hang all over him). The rule is to just keep it subtle and sparse. If he’s interested, a few well-timed touches will give him the confidence to take it to the next level. 2. Eye Contact. Maintaining eye-contact creates intimacy and makes the person you’re talking to feel closer and more connected to you. 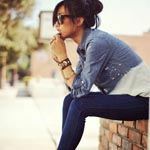 It can be nerve wracking talking to a guy you’re into and some girls may get fidgety and shift their eyes in response (I know this happens to me!). Try to be mindful if this is happening because he might mis-read your nerves as a sign that you’re bored or not interested or looking around to see who else in the room you want to talk to. Don’t be too intense with the eye contact because it can get creepy if you hold it for too long. Just engage when he’s talking to you, and take breaks every so often. If he’s telling you something really personal or intense then maintain your gaze a little longer to show you’re focused on what he’s saying. If you think he looks good, tell him! If you noticed how nice it was that he held the door for a group of girls, tell him you were impressed. Whatever you compliment him on, just be genuine about it. Don’t compliment him just for the sake of getting him to like you, that’s just fake and kind of desperate (men can always sniff out something that’s coming from a place of neediness or desperation). It is worth noting that more than compliments, men crave appreciation. A man wants to be with a woman who sees and appreciates him for who he is. People in general are more likely to be real when they feel they are appreciated by the other person. 4. Smile while talking to him and laugh! I don’t know where this idea of a woman being cold and aloof came from, that’s actually a man-repeller. Happiness is magnetic, it draws people in and makes them want to be around you. Being friendly and personable doesn’t make you vulnerable, it makes you someone people want to be around. A smile is a surefire, non-threatening way to show interest a give a guy the green light. But like all else, it is the quality of what is behind the smile that matters. If your smile isn’t genuine, it won’t illuminate. Work on finding happiness and confidence within yourself. When you are able to achieve this, you will naturally and effortlessly pull people in. 5. Use his name a few times in the conversation. There is no greater melody to a person than the sound of their own name…don’t ask me why, it’s just the way it is. Salespeople often use this technique because it creates a sense of intimacy. However, they are coming from a place of manipulation which is not something we condone. 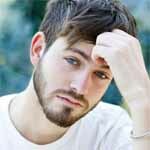 Saying a guy’s name makes him feel seen and appreciated (again, I don’t know why this is!). Pay attention to times when someone uses your name in a conversation, for whatever reason is heightens your awareness and causes you to be more present and engaged in the conversation. Just don’t get too crazy with this one or you’ll sound a little strange. 6. And above all…. All of the tips on this list are only effective if the woman is comfortable within herself. When she can be with someone and be in a place of total comfort (without her mind grasping, clinging, and fighting to make the situation “more” than what it is), then her gaze and touch will be melting. If she is gripped by fears and insecurities, her touch and gaze will be threatening and nauseating to the guy. The most important relationship advice is always to work on being your best self. It’s about finding that place of balance and harmony where you like your life as it is and don’t constantly seek validation from the outside. It’s about feeling as if you are “enough” on your own, but not being so guarded and hardened that you can’t or won’t let anyone else in. It’s about getting to a place where you can comfortably express your interest in a guy without being gripped by the fear of rejection. When a woman has this consciousness, her presence alone will make the guy’s heart melt. Hope this was helpful. 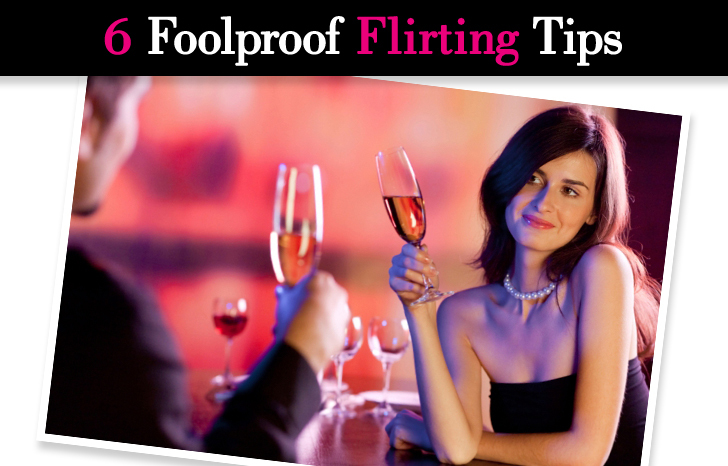 Please share some of your best flirting tips in comments! Great tips, especially the last one! Thanks Sabrina!